Cushion Walk Leisure Ballerinas E Fit is rated 4.3 out of 5 by 7. 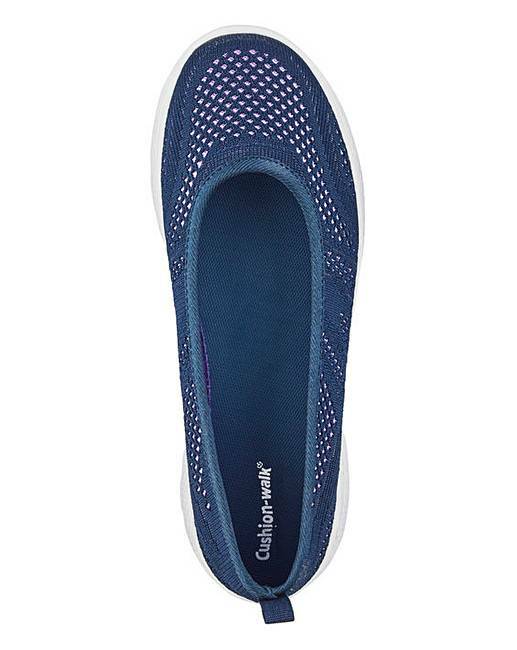 Slip on and go in these chic Cushion Walk ballerinas. 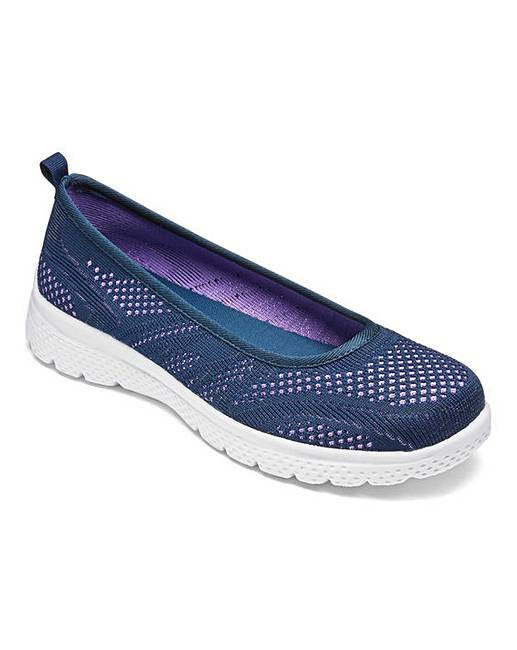 These lightweight leisure shoes have mesh uppers for a comfortable fit and easy movement and soft padded foam insoles for underfoot comfort. Rated 2 out of 5 by Jenny70 from Once I got them, I didn,t like them. Not for me, did not find them comfortable, felt a bit like an old lady in them haha. Rated 3 out of 5 by Carole48 from Nice light shoes Bought a couple of weeks ago. they are a nice shoe. I need a slightly larger shoe due to a nodule on my large toe. The other is a little too large but an insole helps that problem. Rated 5 out of 5 by Debs27 from Perfect! Bought in the pink and I couldn’t find pink Skechers. These are pretty close. Very comfy, love the style - PLEASE get more blue ones in stock! !